Daisy Rock Guitars - are they just for Girls? Daisy Rock made their name marketing pink guitars for girls. I have to say it is not just the colour that makes these Daisy Rock guitars good for girls, nor are they just for girls in reality. The fretboard is simply better for smaller hands but are they all too pink and feminine? Actually there are some boys who love the colour pink and I think it is a little sad that those colours have become so gender specific. Equally well, if a girl wants a black guitar with a ferocious dragon on it, why not? I have taught tough little boys who loved the idea of pink guitars and would borrow them. Maybe some of the Daisy Rock range would be just as suitable for boys. 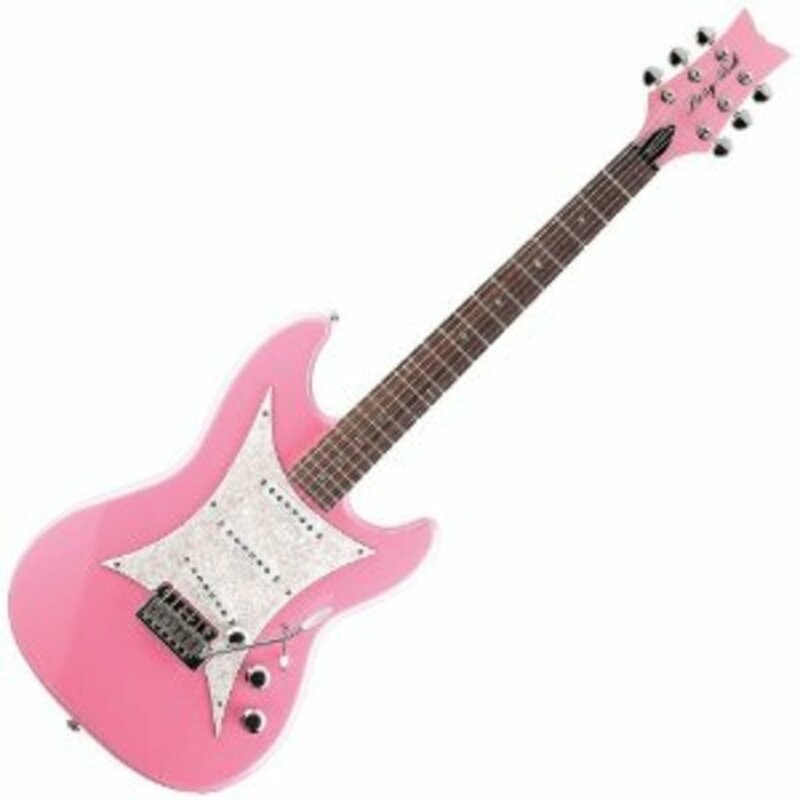 The narrower neck design of these Daisy Rock guitars will suit boys, ladies and men with a smaller build - so Daisy Rock pink guitars are not JUST for girls! 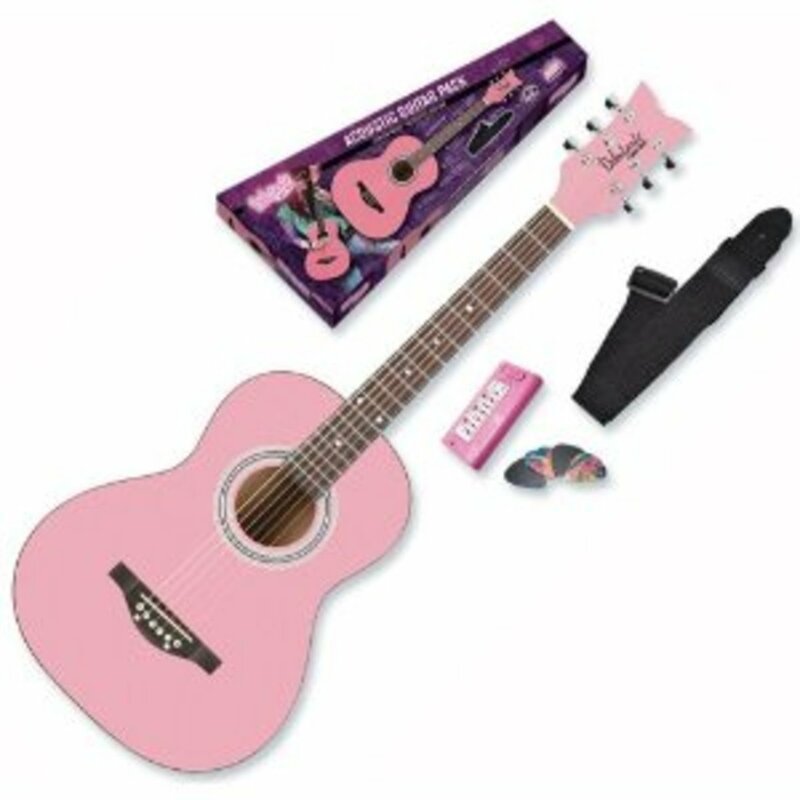 Smaller size acoustic guitar in vibrant pink with a slimmer, narrower neck for smaller hands. Caution though - steel strings can be hard on tiny fingers, so consider the age and experience of a child before buying a steel strung acoustic. It may be much better to consider a short scale electric guitar which has an easier action, or possibly go for a half size classical guitar in a colour or design your child will like. 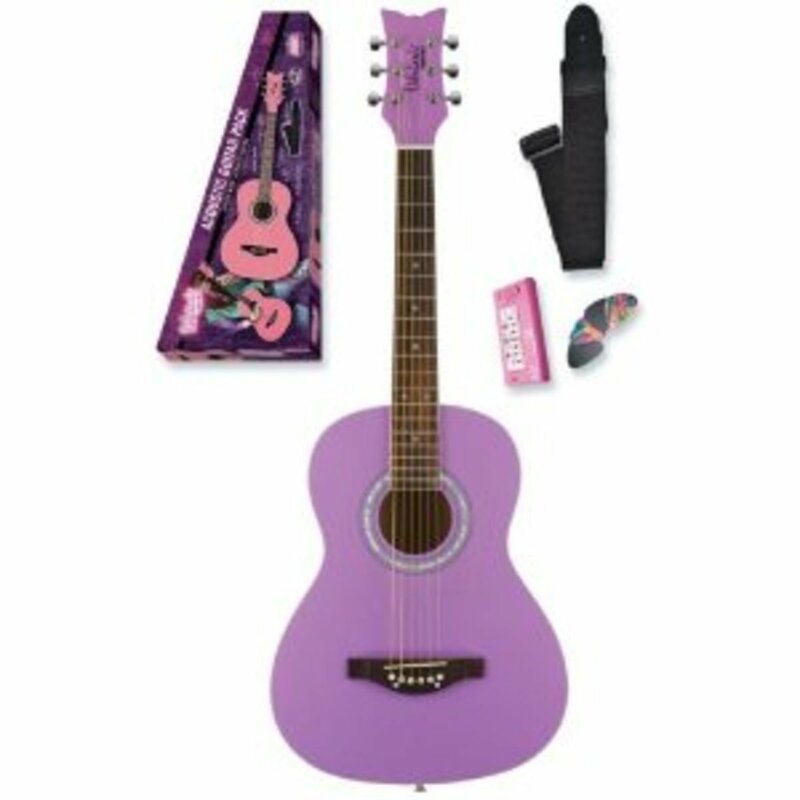 The guitar package includes tuner, strap and picks. This guitar comes set up and ready to play, but does not include accessories or gig bag. Comes with butterfly decals and stickers to personalise it. Daisy Rocks acoustic guitars do not easily convert to nylon strings. The machine head and end pin construction is design for steel so make sure that you use extra light or ultra light strings. These have less string mass and so are easier to press down. A short scale neck is a good thing for young children because an arm at full extension is not comfortable playing chords. If your child is determined to play a steel strung acoustic then it is worth down tuning the guitar a third (or getting the teacher to) for the first few weeks or so. This makes it much easier and the teacher can gradually bring the guitar up to pitch as the fingers toughen up. It may be better to invest in a short scale electric guitar and practice amplifier because on the whole electric guitars are easier to play and progress can be faster. Pink Punk Electric Guitar with P90 pickup - A great pink electric guitar for punk rock! The Duncan designed P-90 pickup gives this guitar a great punk tone. The pick guard design is edgy too and gives the guitar a unique appearance. Slim neck for smaller hands and lightweight construction. The spikey headstock and pick guard design on the Rebel Rockit makes it a guitar that has more street cred. 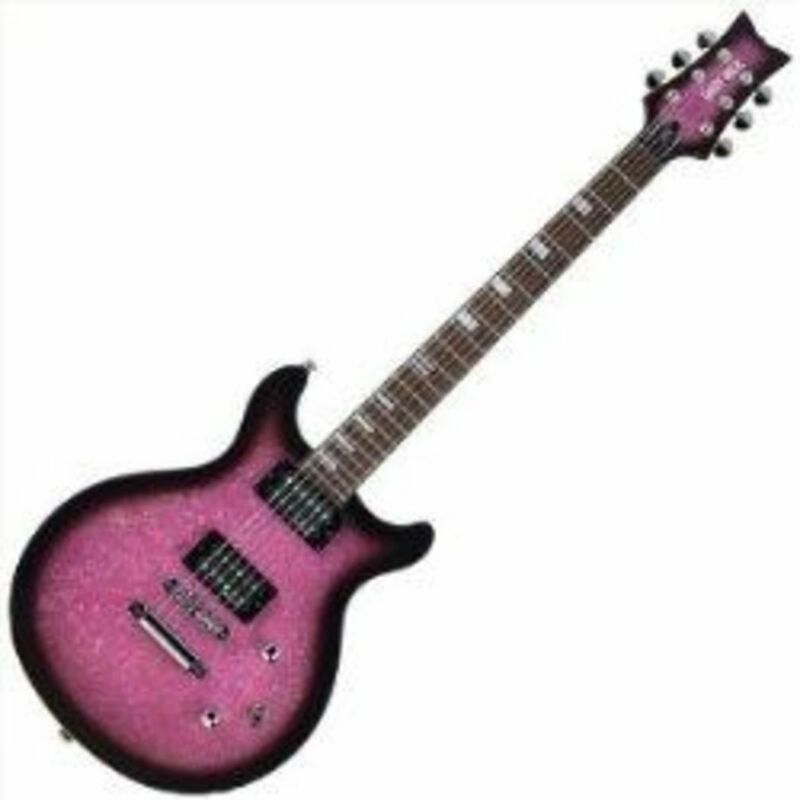 Boys who like pink guitars will find this acceptable because of its edgy design. Daisy Rock Guitars are not just for beginners, the Wildwood Artist range are great for pros too. Daisy Rock WildWood Artist Acoustic-Electric Guitar comes with onboard pre-amp and tuner. This guitar is set up and comes with a gig bag and a warrantee. Like all Daisy Rocks, it is designed for smaller hands and is lightweight. This professional quality guitar also comes in a range of colours which makes it acceptable to anyone with smaller hands who appreciates the advantages a narrower neck has to offer. 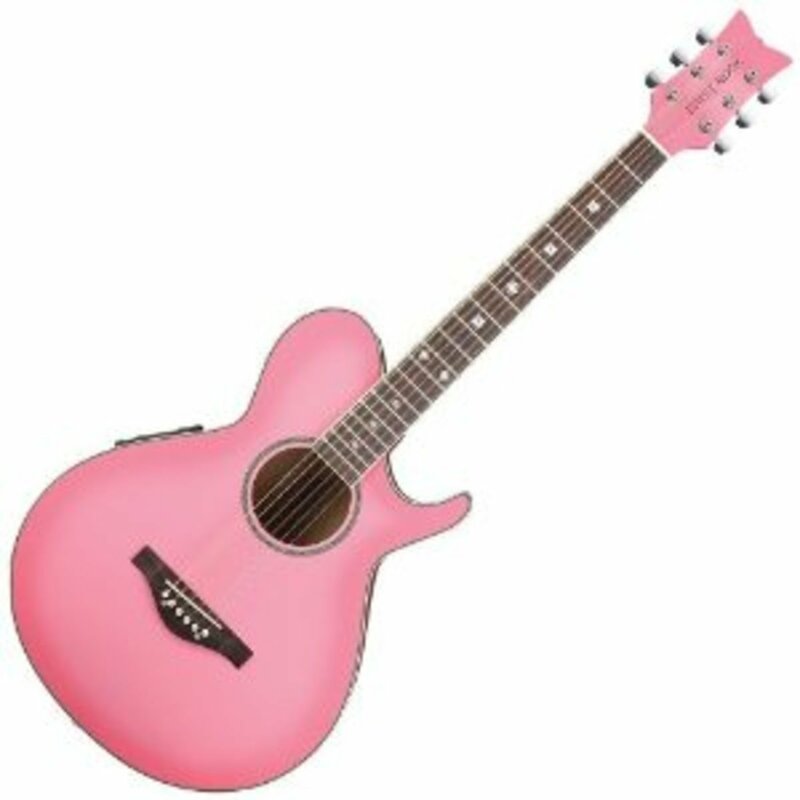 Do Girls really want Pink Guitars? I am not at all sure of this pink for girls and blue for boys thing. It is due to parental and peer pressure in my view. It could just have easily been green for girls and yellow for boys. Having said that, it is such a universal more that many girls will ask for a pink instrument. Going against gender stereotypes is never easy. Nevertheless, the very real advantage of Daisy Rock guitars is that they are designed for those with a smaller physique and are easier for children and also for men and women who have small hands. They also come in a variety of less "Princessy" colours! However, if you buy your little girl a pink guitar, why not add a few pink and girly plectrums too! If the concept of Daisy Rocks for smaller hands interests you, but the pink does not, the range includes lots of other colours including purple, red, blue and dragons green, and genre specific styles which might well be more suitable. Here are a few 5* rated Daisy Rocks I found for you to look at. 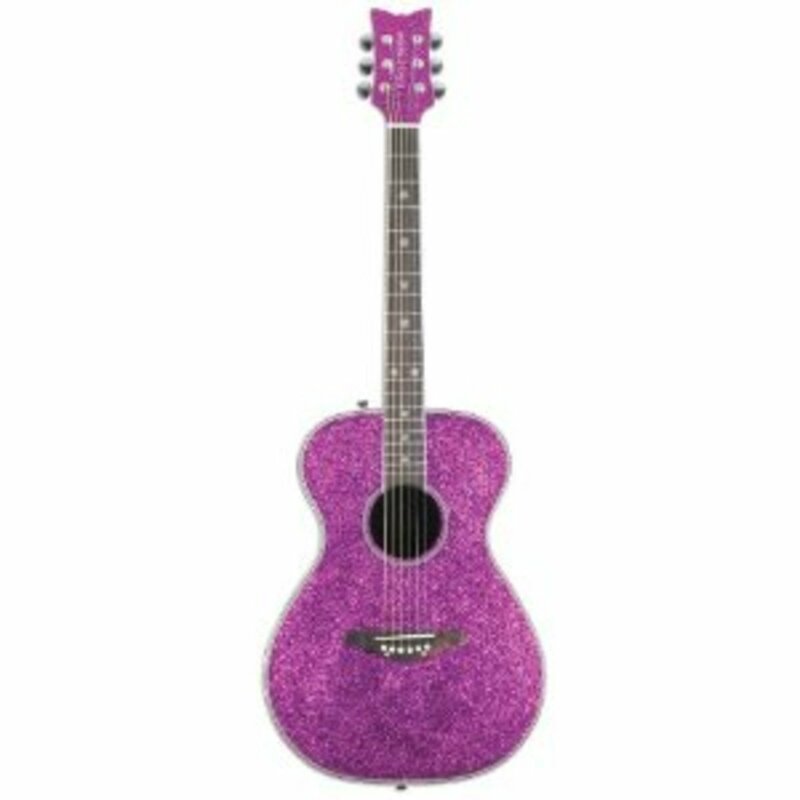 I don't really fancy a pink guitar myself, but I do love the style and purple color of this guitar. Retro-H Guitar is really unique. The retro design of the next guitar is a big plus! Sea-foam green lends itself well to the very 1960s style design with F holes and a Bigsby trem. These elements give it a real jazz vibe. A very retro design with f holes and Bigsby trem. Not pink, but vibrant purple! This guitar comes with strap, tuner and picks, but you will need to buy a gig bag! Fantasy guitars from Daisy Rock are also very popular. 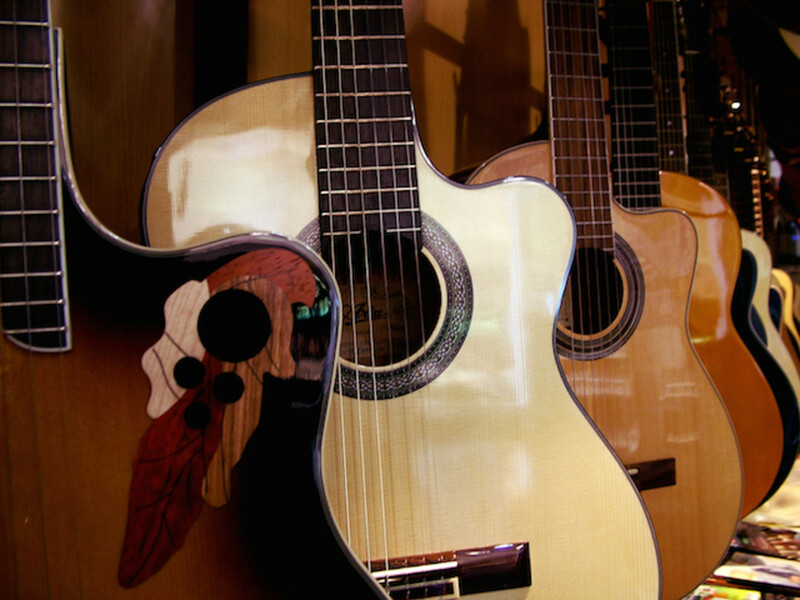 There is a heart shaped custom guitar and a butterfly guitar too. Could this be the real future of glam rock? And finally - a BLUE Daisy Rock electric guitar - For boys or girls who prefer blue! 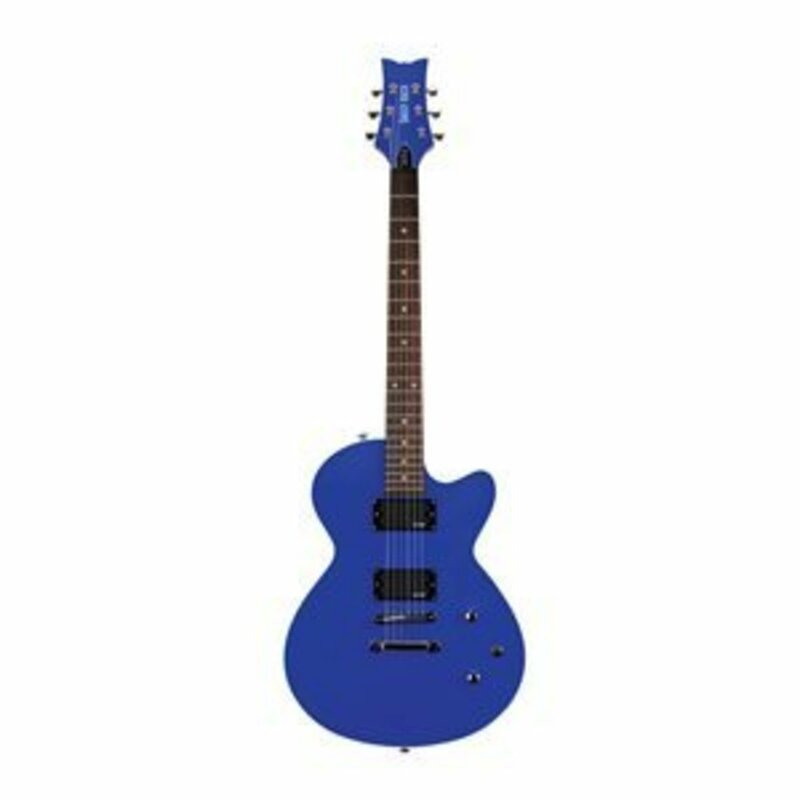 Here is a guitar for smaller hands, like all Daisy Rock guitars - but it is a lovely shade of blue. My Hamer is this colour and for me this is really nice. If you are a fan of Daisy Rocks, but your son (or daughter for that matter) isn't into pink, a blue Daisy Rock could be the answer! Preview songs from From the Ashes of a Broken Dream - Single by Lisa Marie Gabriel on the iTunes Store. Preview, buy and download From the Ashes of a Broken Dream - Single for £0.79. Songs start at just £0.79. Pink for a Girl? - Blue for a Boy? What do you think of gender specific colors? Are you a believer in pink for girls, blue for boys, or does color discrimination make you want to hurl? I love them! who wouldn't love to get one of these?